Cup cakes are very popular and are liked by many people. Today I will be showing you an easy recipe on how to make them. 1.) In a mixing bowl beat your eggs while adding sugar gradually, beat for about 15 minutes on a medium speed. After add soft room temperature butter, vanilla extract and beat on a medium speed for 5 minutes. In a small bowl mix you baking soda and vinegar. 2.) 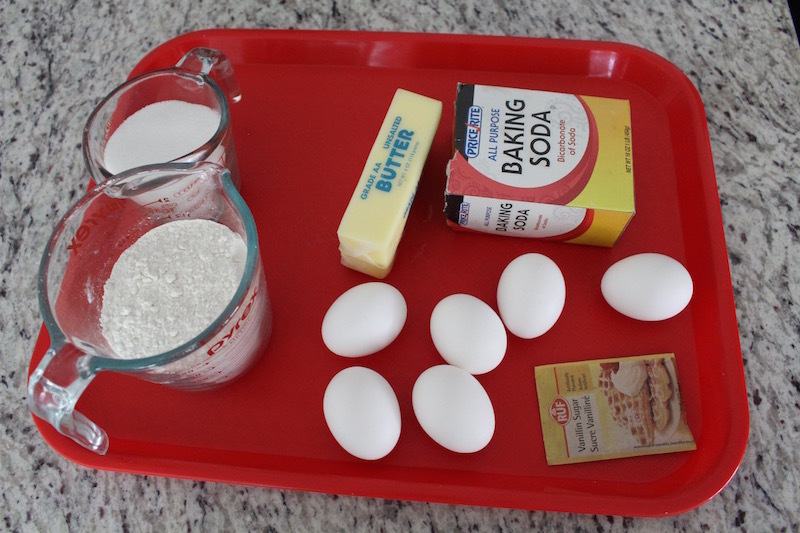 Add your baking soda to your mixture and mix with a spatula. Place your dough into a decoration bag with any tip and pipe out a spiral circle to the top of your cup cake form. 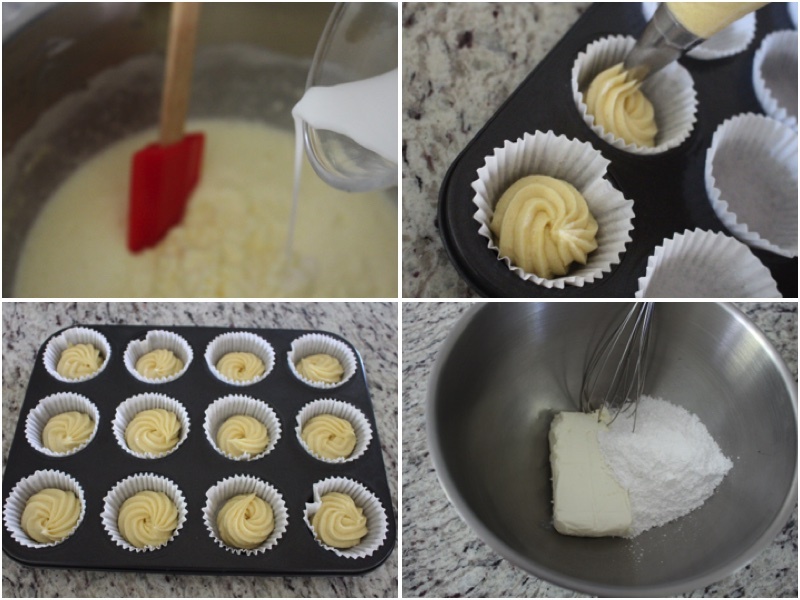 Place all of your cup cake forms into a cupcake pan and bake for 20 minutes on 350ºF. In a large bowl mix together your powdered sugar and cream cheese. 3.) 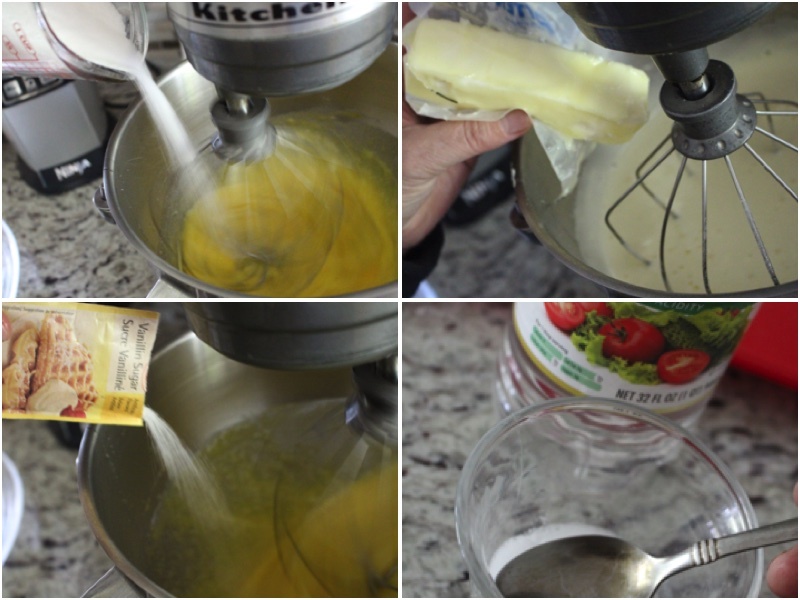 Add cool whip to your cream cheese mixture and mix well. 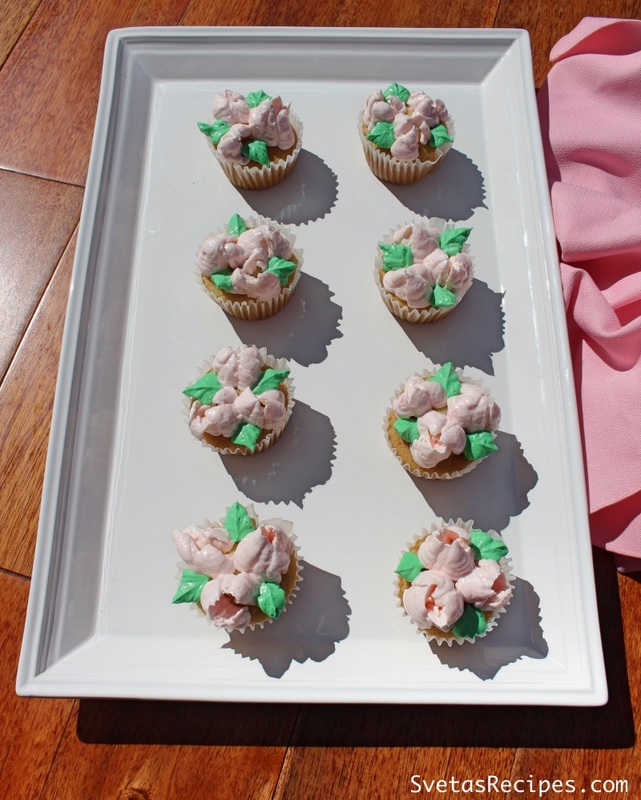 Take out your cupcakes and let them cool down to the touch, decorate using your cream and a decorating bag with a pipe. If you would like you can add food coloring to get a variety of colors as shown in the picture. In a mixing bowl beat your eggs while adding sugar gradually, beat for about 15 minutes on a medium speed. After add soft room temperature butter, vanilla extract and beat on a medium speed for 5 minutes. In a small bowl mix you baking soda and vinegar. Add your baking soda to your mixture and mix with a spatula. Place your dough into a decoration bag with any tip and pipe out a spiral circle to the top of your cup cake form. 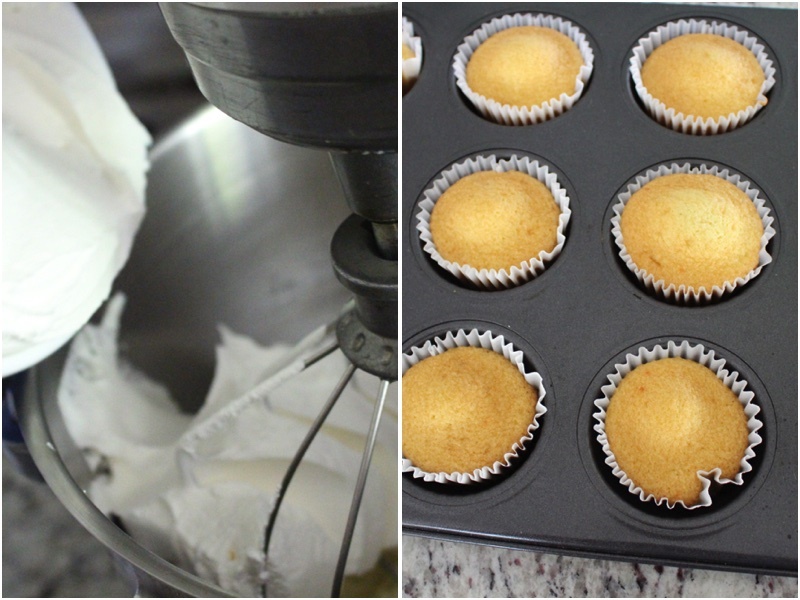 Place all of your cup cake forms into a cupcake pan and bake for 20 minutes on 350ºF. In a large bowl mix together your powdered sugar and cream cheese. 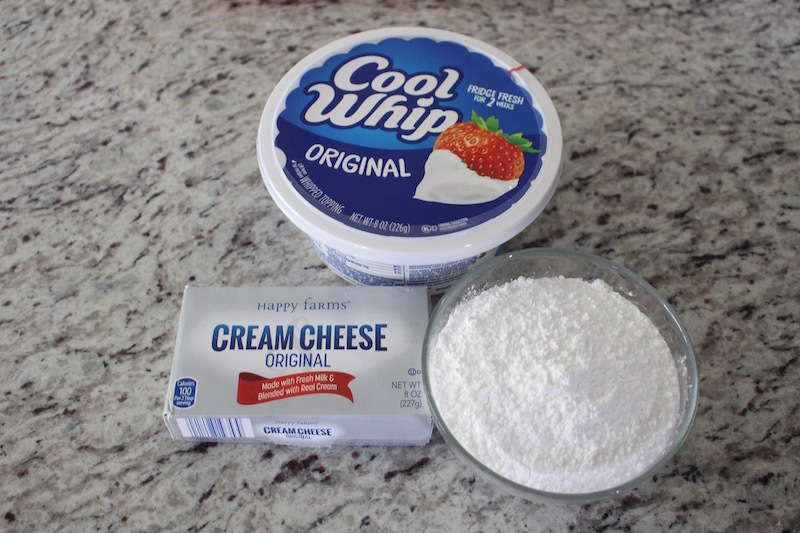 Add cool whip to your cream cheese mixture and mix well. 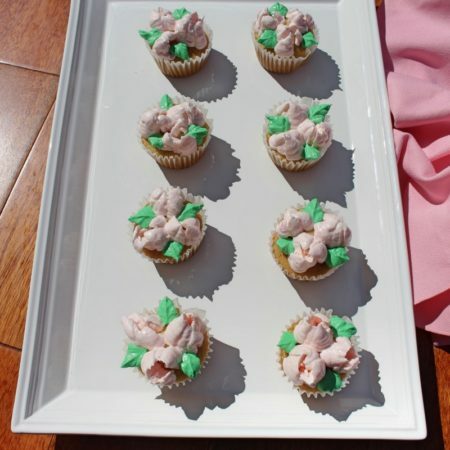 Take out your cupcakes and let them cool down to the touch, decorate using your cream and a decorating bag with a pipe. If you would like you can add food coloring to get a variety of colors as shown in the picture.